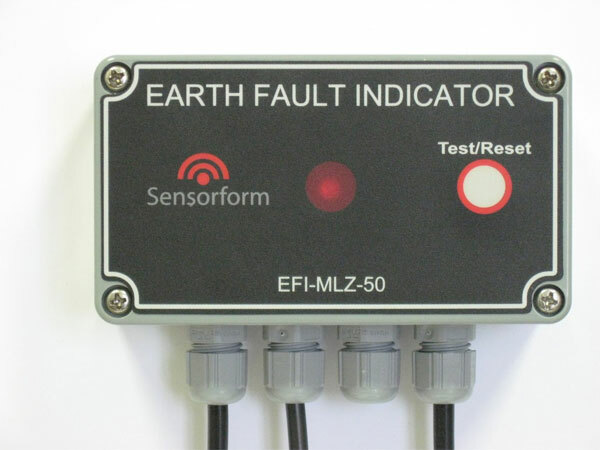 The Sensorform Range of Earth Fault Indicators detects earth faults & short circuit faults on underground cables. A number of options are available for enclosure type, power source, indicator type, reset method, trip-level selection, and remote indication. Each unit has a core-balanced sensor which is fixed around the three phases of the cable. Units that detect a current imbalance due to an earth fault will trip and indicate by either bright LED or a mechanical flag. The EFI helps to quickly identify in which section of the network an earth fault is located, once the network has been tripped by the upstream protection. The CFI unit has Phase-Phase short-circuit detection using extra CTs connected around individual phase conductors.